After I was introduced to Ryuichi Sakamoto's music by his 2017 album async, a somber collection of soundscapes that has always haunted me, I cranked the time machine back a few decades to listen to some of the older works in his extensive catalogue like Ongaku Zukan/Illustrated Musical Encyclopedia, an 80s album of refined, instrumental dance pop and Coda, a collection of piano arrangements containing his hit, "Merry Christmas, Mr. Lawrence" from the Nagisa Oshima film of the same name starring David Bowie and Beat Takeshi. It was difficult to plot my next point of approach into Sakamoto's seemingly endless ouvre--I dabbled in an interesting ambient album for an art installation called Plankton for a bit and then purchased an LP of his on a whim after coming across it at the record store. 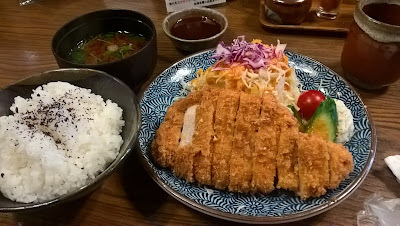 The record, Life in Japan, turned out to be, however, not an album but a promotional single. The iconic jacket features (most likely) Sakamoto with his eyes shut as he gets a shave--whether he is enjoying or loathing the process I still wonder. Life in Japan was given away to customers of Nippon Life Insurance in 1983. The A-side contains a single track probably used in the company's commercial. The B-side features two instrumental tracks, both of which recall the style of the electronica tracks from Ongaku Zukan, which makes sense since Life in Japan was released shortly before this album. While a lot of synth-based instrumental music at the time--say, tracks used as background music for anime and video games--really put the "synth" in synthesizer, that is, making stuff sound really plastic and contrived sometimes, Sakamoto's instrumental tracks have a lot of character and life to them. His attention to detail really shines through, and both tracks are brimming with smart melodies and layers of interesting sound bits and clips. B-1 "Yoru no Gasuparu (Gaspard of the Night)," based on either the book, the piano piece, or both, is particularly catchy and maintains a nice boogie throughout while remaining alive and interesting. B-2 "Ao-penki no Naka no Boku no Namida (My tears, in the blue paint)" is a couple notches down in tempo and layers some relaxing melodies over heavy synth bass. The track is healing almost, and wouldn't sound out of place in the background of a hospital area in a video game, or else a location that emphasized rejuvenation and relaxation--I think it would be a fantastic track in the Mother series and, for some reason, a great accompaniment to the sounds of the Ape Escape soundtrack. Speaking of Mother, the lyrics to the A-side track "Kimi ni Tsuite (About You)" were written by its creator, Shigesato Itoi. What a collaboration! I've been toning down my record shop excursions but this week I decided to go back to a store in Osu called Hi-Fi-do to get a record I've been looking for forever. Everyone knows Questlove, drummer for The Roots, and I really enjoy his seemingly endless amount of knowledge on all things music that he brings to his social media accounts...not to mention his unparalleled drumming talent. Some time ago he shuffled through tons of records in his collection via Instagram's story feature and one of them caught my eye because it seemed to be from a Japanese artist. This was Reiko Kashiwagi's "Dream of Dream," and I took a screen shot to look up the album later; I liked what I heard, and so did Questlove. Tracking it down was way too difficult though and ironically, this Japanese album was pretty hard to find here (discogs, for example, has a dozen copies but none are from Japan!) and the album never appeared in online searches. I had given up until I saw it at Hi-Fi-do last month but passed it up at the time, only to regret it when someone linked a track from the album and I heard it again and fell in love. Thankfully, it was still there when I returned. The LP is in beautiful shape and didn't cost too much, but I generally try to wait things out since prices at Hi-Fi-do tend to be on the high side for some records, especially more common ones. On the other hand, they are usually pretty immaculate and come in one of those sleeves I like without the sticky adhesive stuff. The album is pretty neat and features both originals and covers by Kashiwagi on this behemoth looking "home"(really???) use organ by Yamaha called the Electone. These things were apparently powerhouses at making music at the time, and you can tell that some of this stuff was probably state of the art at the time by listening to some of the tracks, all done by Kashiwagi herself with minimal participation by other musicians. She was somewhat of a virtuoso at this thing and won a few of the worldwide contests held for it in Japan, and her work on this album is just one of many that has her working with this amazing instrument. The focus of the record is primarily to show off the synth sounds of the Electone and they are presented with a smooth jazz accompaniment. Think of those background tracks that play while wandering around a city or into a clinic during your favorite Playstation 1 RPG. If that's the stuff you live for then this is just your thing. On the other hand, this might not be your thing if you can't really groove with the Electone's overall sound. I myself sometimes get a kind of dated vibe from it that sounds vaguely reminds me of the slapped together MIDI compositions that play at the supermarket. I mean, not that bad. But I imagine if you worked at a supermarket and heard this kind of music everyday during your 6-hour shift you would probably want to avoid Ms. Kashiwagi's records at all cost. My intent was to be in and out with "Dream of Dream," and if it had already been bought then maybe I would pick up something in exchange, but I couldn't help but walk up with a second LP in my hands. Just as I was ready to leave I leafed through the last stack of V/A records and was shocked to see "On the Beach," a compilation album I never thought I'd ever see in my collection. Actually, I almost picked this up before and was sad I didn't. A local record shop in Okinawa posted a photo that declared they had stocked a copy for 650yen while I was visiting the island but I never made it up to the store to check. I hadn't seen it show up online for a reasonable price either, so I thought this was the last I'd seen it...but Hi-Fi-do is always full of surprises, making it worth a stop in once in a while. Even if the copy was a rental record, I thought that paying 900yen was a steal. The names on the A-side of the record should make it an easy sell: Taeko Ohnuki, Haruomi Hosono, and Shigeru Suzuki are powerhouses in 70s and 80s Japanese music. Unfortunately, this album itself isn't really an amazing masterpiece in itself and is really just a mixtape with a really well designed cover that features some great tracks with waves in between each of them. That's really all there is to it, so I wouldn't really suggest paying an outrageous price for this one even if it does look great on display. A few months ago I made a post gushing about a band from Taiwan called Freckles (雀斑樂團 Freckles) so I probably should avoid introducing the band again and just say that I really fell in love with their easy-going, retro kind of vibe and couldn't believe that they decided to stop by Nagoya for their upcoming Japan tour. I had never heard of the venue, Lounge Vio before, but it was located in the same neighborhood as plenty of other live houses that I had been to before in the down town Shin-Sakaemachi area. I recently discovered that the neighborhood is also home to a handful of record stores so I arrived early to peruse the crates before hobbling a few blocks over to the massive building that housed Vio in its basement. The venue looked a lot like a spacious venue for hip parties and seemed kind of cozy which was perfect for all the laid back bands on the roster: Hosovoso, a singer/songwriter from Mie, Typhoon Club whose folk/rock/punk actually isn't that laid back but lots of fun, and of course Freckles who were coming from Matsumoto-city in the north having just played Ringo Music Festival. Sandwhiched between the acts were a few DJs who spun wax at the back of the room along with a few food vendors. The gig started about an hour after the 6PM start time. Hosovoso usually performs on his own as an acoustic act but today he showed up with a full band, thankfully, that probably made his sound a lot more full, exciting, and more palpable for me; I can't really imagine myself enjoying his music without the extra punch of the backing musicians, who were all quite talented. Something about his sound didn't quite convince me and he felt way too soft as a musician, something that would be quickly remedied by the next act, Typhoon Club. This post marks the third time I've seen/written about Kyoto's Typhoon Club so I will probably risk saying the same thing again, but really, these guys are just a lot of fun. Bouncy, rock'nroll hooks with just the right amount of attitude and fun was the perfect response to the lukewarm opening act. The guy on the right was holding his little son up in the front--no worries, the little dude had ample ear protection. Freckles was fantastic on stage and played many of my favorite songs. I had seen a live performance of theirs once and felt that their sound was a little too stripped down live when compared to recordings, but here it was brilliant and I had no complaints. BenBen kept my attention doing all of her MCs in English so I didn't feel too lost at the gig. While none of the members wowed me with a really revolutionary set of chops, impressive solos, or impromptu free-jazz level jamming, they were chill, laid back, and a lot of fun to listen to and that's all there is to it. I never thought they would be performing the songs off "Imperfect Love" right in front of me any time this year and coming to Nagoya has sure saved me from going out on a limb to travel to Taiwan just to see them. Even if architecture isn't your forte, no formal training is necessary to stand in awe of one of Tadao Ando's structures. Ando has made architecture an increasingly fascinating field to me, opening a gateway full of ways to think of our interaction with light, nature, space, and people through buildings. Since two of his exhibitions were in Tokyo the day I was going to be there--one being the largest curated display of his oeuvre yet to be produced--I knew I had to try and see both. site, complete with models, diagrams, blueprints, and a time lapse video. It's quite a stunning piece of work located in a quiet corner of Roppongi. 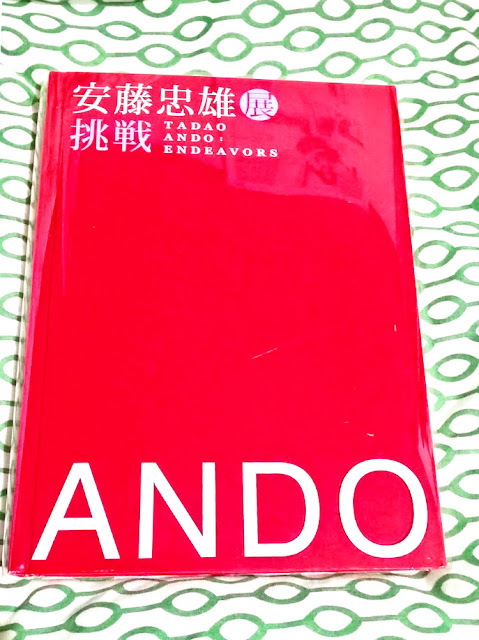 The next exhibit was the large showcase of Ando's entire career entitled "Endeavors" held at the National Art Center of Tokyo. It was a short walk from the 21_21 site but the building was much, much larger than I had thought it would be. The exhibit chronicled Ando's life as a kickboxer and into his first forays into design. Interesting too was the scale model of the office of Ando, itself a fairly well known structure. Scale models of just about every piece of work he has designed so far were on display in intricate detail. Of interest to me were the comments from the clients themselves, or at least those that still chose to live in Ando's abodes. Many gave some honest comments about the difficulty of living in one of the master's structures--most of which were forgiving and understanding of his dedication to the art (and the sacrifices it entailed for a home, like being able to stay warm in the winter). It's refreshing to think of architecture in the practical sense--are these homes, with all their frills and thought provoking facades, really livable spaces? The line through Ando's residential spaces proceeded at a snail's pace but finally a breath of fresh air and no doubt the main attraction: an exact replica of his lauded "Church of Light" structure, built right on the grounds of the National Art Center. Photos were allowed, so you can imagine the amount of phones that shot out to disturb what I expected to be a relatively solemn experience. Still, inside and out the building was amazing. Back inside was a tour of some of his most recent work, consisting of larger projects like museums that occupied a large space in the exhibition hall. It was less claustrophobic and more free moving here, and definitely defined just how far Ando had come from his humble beginnings as an architect for home owners to an international celebrity booked for projects of unbelievable scale. At the shop, I nearly grabbed a neat reinforced concrete T-shirt but opted instead for some post cards and a copy of the exhibition's book. The art center itself was immense and after seeing an exhibit all about architecture, I couldn't help but look at its walls and windows with a renowned appreciation for its form. Walking around with an overpriced cup of coffee to fend off my lack of sleep, walking about the museum itself, sitting down for a sip of my drink, leafing through the pages, and watching the people bask in the lights and shadows of the windows was more rewarding than entering another exhibition hall. I don't usually make any memos on my calendar, but thankfully I did this week for another one of those rotating record bazaars that would be making its way through Nagoya. These weekend events are a collaborative effort between record shops across Japan, with each bringing a bunch of boxes of records and setting up in a single location. I usually find some things out of the ordinary and for a good price that I wouldn't otherwise dig up at the usual spots in town. It's a lot of fun being able to go through so many records all in one place without the hassle of going on a trek of all the local ones. It's a fun way to peruse a selection of records from multiple record stores all in one convenient location and I always make sure to stop by at least once to see what I can find. Each store prices their records differently so it becomes a kind of game after a while to try and find the best price for a certain record. I've been reading one of Taeko Ohnuki's books lately and listening to a lot of her past work, like the long awaited re-issue of her album Mignonne, so I picked up Signifie and Cliche, two of the albums I'm missing form her catalog, without hesitation. I found a copy of Signifie not long after I arrived on site, but as I continued to dig I kept pulling it up again at a cheaper price from the next vendor's crates. In the end, I opted for a 540yen copy that was pretty similar in condition to the others but half the price. Both albums are more of her delving into synth pop, with the production and arrangements by Ryuichi Sakamoto of YMO fame. Sometimes it's hit or miss, and definitely different than than jazz/fusion of the now eternal Sunshower, but Sakamoto's compositions and Ohnuki's signature vocals make them both worth a listen. Meiko Nakahara's mint was also something I swapped out down the line for a better priced copy. I was surprised when I found her work is pretty popular in city pop circles and I have to admit I'm a bit late in discovering her: the albums are both pretty groovy. Initially I had only listened to her because of her contribution to the anime Dirty Pair. If you subtract the forgettable ballads and more cliche pop compositions, Kaori Momoi's Watashi is not half bad. I picked it up for the track Doshaburi Neko. I'm not such a big fan of her voice; its a little bit on the lower side but fits well with some of the styles on the album (why it's labeled as a ragtime record on discogs is beyond me...). Apparently Momoi is also an actress, and has been more active in the film industry than in the recording industry: she has starred in many flicks since the 70s and even in Hollywood productions a few times. Interesting! She looks pretty cool in the inserts. Sadly, I had gone to the record sale in the first place in hopes of finding a few records and came back with none of the ones I was searching for. And to make matters worse I had only an hour or so to look through everything so I actually went back once more to check out the stock again, finds for another post. Japanese director Hirokazu Koreeda has consistently churned out films that have wowed audiences on the international film festival circuit and is now in the spotlight once again both in Japan and abroad for his latest film Shoplifters' win at Cannes. I'm a big fan of Koreeda myself and his first feature film Maboroshi has left a lasting impression on me for its slow, affecting portrait of a woman who abruptly loses her husband to suicide and starts a new life. The story is told slowly, with little dialogue, but my favorite thing about the film is the grainy film texture and its portrayal of little pockets of urban Japan and the later scenes by the rural town by the sea. The music in his films has never been bad, so to say, but I can't say its ever left a big impression on me. Then again, it seems that many of his recent films that I haven't seen contain music composed by some artists I'm familiar with. 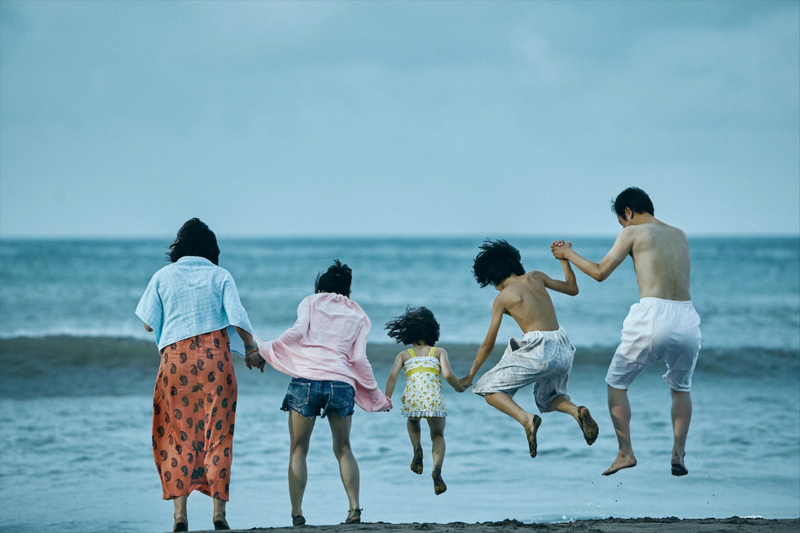 Nevertheless, music is usually not one of the things I look forward to in a Koreeda film until I saw Shoplifters. The compositions were great and when I eagerly waited for the music portion of the credits to roll by I was shocked to see none other than Haruomi Hosono's name appear in the credits, especially since Hosono's film scores have been something I've been really interested in lately, as evident in my last post. In some ways it was a surprise but at the same time I nodded my head in agreement. There was something about the ways in which the music was composed that drew masterfully upon the imagery in the film. It melded so well, and the electronic sounds used were very particular and distinct; the style had character and a personality all its own. It was not on accident that these particular tones and sonic textures were used--they seemed to be the result of careful deliberation by a musical expert that had searched for just the right way to craft the delicate moods of the visuals into sound form. It's no wonder that someone with the talent to search out instruments and tones from all different corners of the sound spectrum and fuse them into pieces so intimate and embracing would pair with a director that has a similar talent for searching out the beautiful yet intricate details of daily life that we naturally take for granted. 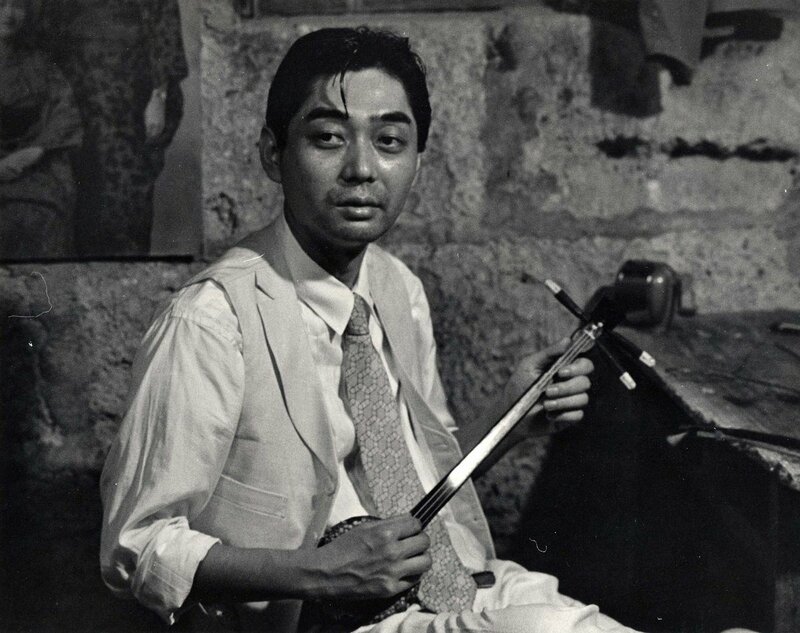 Hosono's score also sounds as if the composer dove deep into the human conscious to tease out arrangements that complimented and represented these simple moments and the emotions they carried in the film. The choice of Hosono's style of minimalist electronic sounds versus a full scale orchestra matches perfectly with a film that focuses on a marginalized group of individuals in Japanese society living a meager but happy lifestyle. It highlights the small joys of daily live that are rooted in the bonds we share with other people, "family," whether this word implies blood relations or not. Orchestrated compositions would have felt too moody for the film, too grand for its subtle depictions of the mundane. A score placed at the wrong moments or simply used too liberally in the film would, too, have felt out of place as well for injecting way too much forced emotions through sound. The almost atonal air of Hosono's work feels strangely distant and chained to the film, in a way that never tries to frame the scenes, to suggest a certain mood. That's the beauty of Koreeda's film, one that I remember vividly from Like Father, Like Son: he is a director that depicts the trivial but exponentially complex tangles of human emotions that are never easy to convey. We feel many things in a Koreeda film, and Hosono only helps the director by adding a fantastic score that echoes his efforts. I would like to think that besides the hard work of all those behind the scenes, the director, and the talented cast, that Hosono's memorable soundtrack for Shoplifters was also instrumental in the film's win at Cannes. The soundtrack is available on CD in Japan, and streaming worldwide via Spotify. Haruomi Hosono is a legend in the world of Japanese music who needs little introduction. He became well known as part of one of the country's earliest groups to embrace the now worldwide moniker of J-pop, Happy End, but is even better known for his role in the trio Yellow Magic Orchestra, pioneers of electronic and new wave music with a reputation across the globe. Hosono has been a part of numerous other groups as well, not to mention all of his song writing credits and participation as a session musician or in backing bands for any number of famous solo acts: Yumi Arai and the eclectic Akiko Yano just to name a few of the favorites, and a comprehensive list of all his credits could easily fill a dictionary sized manuscript. It's hard not to randomly dip your hand into the sea of Japanese music and pull something out that hasn't been directly handled by Hosono, or at least in some way or the other influenced by his music in some way. Hosono resounds in just about every corner of the Japanese music scene and navigating the amount of work he has put out can be a daunting task--where do you even start? I would suggest his solo career, an equally expansive catalog, in terms of quantity, quality, and genre diversity, but perhaps an easier to traverse library of albums that captures all the twists and turns his musical interests have taken, from the early folk sounds of his debut Hosono House, to the more experimental, electronic urban landscapes that emerged parallel to his work with Yellow Magic Orchestra in the 1980s. The year 1985 was a particularly busy year for Hosono, putting out four albums in his solo catalog alone: Coincidental Music, Mercuric Dance, Thinking like Talking, and the film score for a little known film called Paradise View. The latter is probably the least well known, being a film score, and as such, sort of existing on the periphery of his body of solo work, not quite qualifying itself to be heralded among the aforementioned three albums. Still, Paradise View is an interesting entry into Hosono's work that provides a mystical sonic exploration of Japan's southern island Okinawa, the basis of the film. Hosono's take is less of the airy acoustic guitars and ukelele found in every travel commercial and instead paints with sounds that evoke a mystical air, using his synthesizer to traverse the exotic jungles rather than the shorelines. The 30 minute compilation feels a lot like it could be parallel to the acclaimed soundtracks for the early Donkey Kong games, and I mean that in the best sense of the word. While it may seem like a small, insignificant little drop in the bucket of Hosono's endless stream of sound production, the soundtrack to Paradise View is quite important because it is one of the few traces of the little known film it is attached to. A hallmark of 'Okinawan cinema'--the film was noteworthy for employing the island's traditional language in its script, making it a Japanese film that no Japanese could actually understand without subtitles--Paradise View only saw a home release on VHS and in recent years has been screened in limited numbers through festivals and retrospectives of its director, Go Takamine. Listening to the film through its soundtrack is much easier than seeing it, giving added weight to music here since it serves both as score and accompaniment and also as a springboard to fantasize about what the film looked like. Noone else could have been a better choice for transposing the mood and images of the film into sound, and I feel confident that the soundscapes by Hosono are reminiscent of an equally rich and complex images that the film will contain. So perhaps not having the film conveniently at one's disposable to form the images that pair with the words makes this soundtrack especially unique. The film seems to be garnering some cult attention however, and according to a Twitter, it has been screened in Blu-Ray at recent exhibitions...which could signal a future home release. If the film didn't need another reason to be sought out by Hosono lovers other than the man's musical involvement it would be for his role in the film itself: he turned down initial offers from the director to be cast as the lead and instead opted to star in the film with a supporting role. Speaking of the cast, the female lead is none other than the 80s anti-idol Jun Togawa, a cult figure in her own right that still holds a huge following in the Japanese underground. I can't fathom how the film remains so obscure and unobtainable with stars like Hosono and Togawa attached to it. 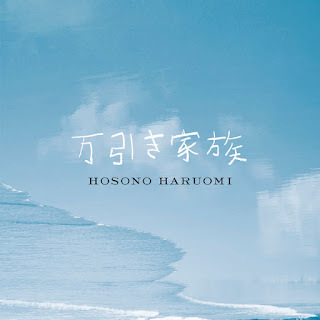 For now, however, a fanciful piece of the soundtrack and low-res bonus footage of the film is on Youtube that can be used as a kind of referent for piecing together the pieces of Hosono's score with images of Okinawa. Let's hope for a home release soon so more people can see this wonderful(???) film. I noticed that this week I happened to pick up music belonging to groups with a single, female vocalist and a male producer, namely Capsule and dip in the pool. I don't really want to argue for an integrated connection between them besides this basic observation on their personnel--my purchases were not intentional, seemingly unconsciously, and happened by chance--but they nevertheless make really cool music, which is fundamentally why I picked these up ini the first place. The first is the now well known project of Yasutaka Nakata of Perfume and Kyary Pamyu-Pamyu fame, Capsule. I was first introduced to Nakata's post-Shibuya-kei sound via Capsule's albums during his early days on his own self produced label Contemode that gave rise to a number of other interesting projects he produced, my other favorite being the short lived Coltemonhika. I've always had a soft spot for Nakata's early work with Capsule that was electro-pop, bossa-nova, and a bunch of other genres cleverly fused together to serve as the perfect soundtrack to boutique shopping in Tokyo before he gravitated to the more electronic based club music he is now associated with. A few 12" records came out to accompany Capsule's early albums but I was never the biggest capsule fan back in the day and neither was I in possession of a record player. A few years ago I purchased portable Airport at Disk Union in Ikebukuro but haven't seen another record from this period of capsule since; I did, however, get the 12" for their more recent club track Musixxx/I'm Feeling You. 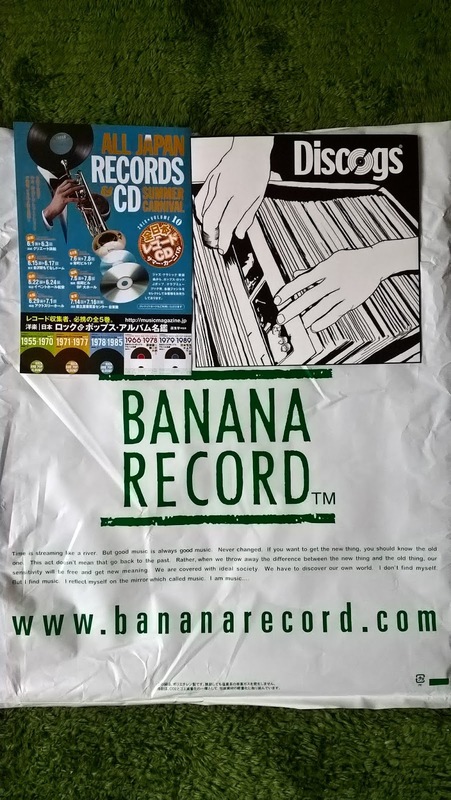 The other day someone seemed to have traded in a bunch of the early releases to Banana Records' main store in Sakae, so I picked up the two I didn't have and could actually afford: Idol Fancy and Space Station no.9 (Cutie Cinema Pre-Play's 12" was just way too expensive). The latter is a collection of four tracks from the album of the same name, which is a bulk of the short LP anyway, and the tracks on Idol Fancy can be found on Phony Phonic save for the extended remix of Weekend in My Room on its B-side. Even if early Capsule isn't everyone's cup of tea, I for one really appreciate the album art as well for its minimalist design that was also a product of the previous generation of Shibuya-kei artist and their love for European easy listening records and design. They look really cool on the shelf. A few weeks ago in Okinawa I picked up a CD by dip in the pool, a sparse, melancholy electro pop group from the 80s with the same sort of member roster as capsule. A smartly dressed male/female duo, the group was recently brought to my attention because a foreign label released a 7" of one of their older songs, "On Retinae." It's quite good, and definitely part of the YouTube fueled mining of 80's gems from Japan. The CD is a pretty lengthy collection of their songs and some bonus tracks and B-sides. Even before these two releases, I found on my shelf the pickings from a previous record store excursion: a 100yen copy of a Pizzicato Five a television's workshop e.p. You can probably guess that Pizzicatto Five is also a male/female, producer/vocalist combination, and one that has more connection to Capsule than dip in the pool. I think Capsule was widely regarded as the sort of second coming of Pizzicato Five and its quite evident in both the sounds and aesthetics of their early releases. PF are, however, one of those bands I don't really know about despite them being really important, so I'm sure leaving them out of this blurb is fine: sources are probably everywhere about them and they even officially released a bunch of their music here in the US and abroad--my sister knew about them when their song was featured in an episode of Futurama, and she also bought me one of their albums when she saw it at a used CD shop back in Guam.